This final version of the paper uses more updated market data than the 2011 working paper, adds case study analysis of failures or anemic cases of open wireless allocations, the U-PCS, WMTS, ITS, and 3.65GHz bands (suggesting valuable lessons for future design of open wireless allocations), and adds an extensive literature review and rebuttal to some of the major academic critiques of open wireless approaches. its model as of Q12012. 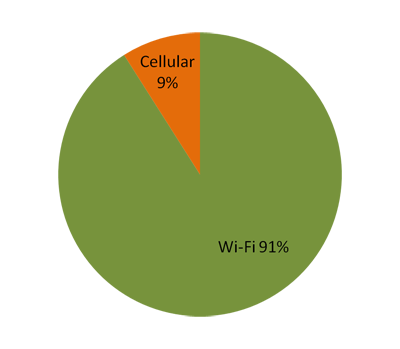 Eighty percent of wireless healthcare; seventy percent of smart grid communications; and forty to ninety percent of mobile broadband data to smartphones and tablets use unlicensed strategies. Unlicensed technologies are entirely dominant in inventory management and access control. For mobile payments, current major applications use unlicensed, and early implementations of mobile phone payments suggest there is no particular benefit to licensed strategies in this space. Fleet management is the one area where licensed technologies are predominant. However, UPS, owner of the second largest commercial fleet in the U.S., has implemented its fleet management system purely with unlicensed wireless, suggesting that even here unlicensed may develop attractive alternatives. 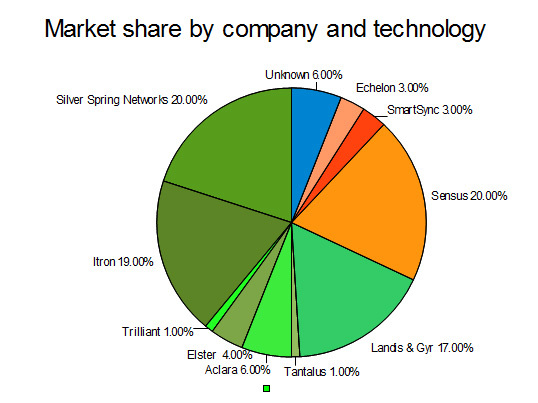 By contrast to these dynamic markets, secondary markets in licensed spectrum have been anemic. The evidence from the most dynamic and critical markets in wireless communications suggests that unlicensed wireless technologies have been underrated in the regulatory calculus. Future spectrum policy debates, in particular those surrounding TV band auctions and reallocation of federal spectrum, should secure an adequate development path for unlicensed technologies, devices, and services at least as much as they emphasize flexibly-licensed exclusive rights. 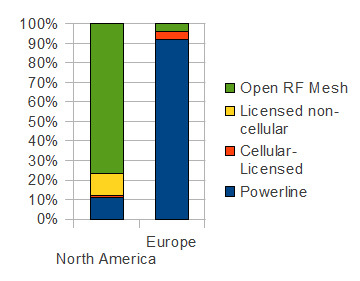 The economic value of bands dedicated to open wireless capacity is widely understated in present studies; the approach developed and implemented here, of analyzing verticals that use wireless capacity and measuring capacity share suggests that open wireless strategies have a much higher value across diverse applications than has been generally captured by existing studies. To capture this tremendous economic value, as the FCC implements its incentive auctions authority it should use every flexibility open to it to expand the availability of as many, as contiguous, and as little-burdened as technically feasible bands for open wireless operations. Current plans to use guard bands, microphone bands, and channel 37 are steps in the right direction, but the Commission should generally aim to optimize on three, not two, dimensions, adding the opening of new open wireless allocations to its calculations in how to optimize the TV band auctions. The NTIA should update its studies of bands available for sharing with civilian use to account specifically for how much, and how soon, could be turned over to open wireless devices, rather than how much, and how soon, can be cleared for exclusive use. Ultimate determinations should be made based on the comparison of the costs and benefits of these competing alternatives for reallocating federal spectrum to sharing with civilian uses. 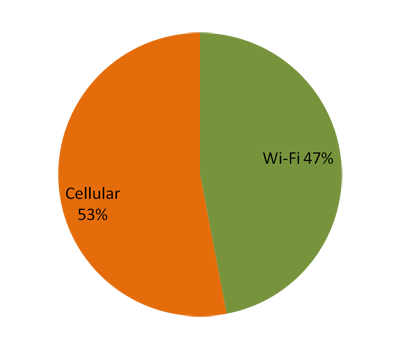 One of the most promising dramatic increases in wireless capacity in the short term would be to facilitate opening up of every single (or as close to it) WiFi access point to use and sharing by any WiFi enabled device. This will require some work in coordinating standards, sign-on, sharing of the wired capacity, and security, but the near-mobile-nomadic capacity already deployed in the nation's existing wired gateway infrastructure, in homes, small businesses, and almost every other building in America, is a vast untapped reserve of "spectrum" that must be tapped, and can be tapped by coordination, with almost no major technical advances and little by way of new regulation. Open wireless allocations should generally be designed to be as open and agnostic as feasible among technologies and applications, with minimal rules, minimal special-purpose designation, and a focus on open standards and interoperability. In intelligent transportation systems, for example, we have seen substantially more innovation and activity using the ISM bands than using the special-purpose, Intellegent Transportation Systems band in 5.9GHz. 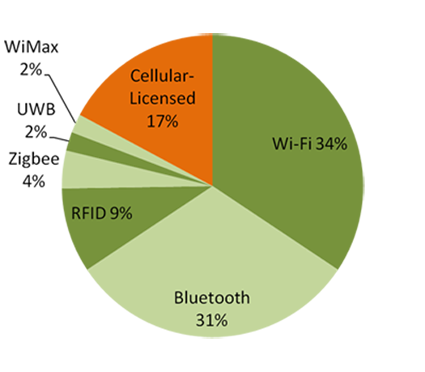 In medicine, WiFi and bluetooth have been more productive than the Wireless Medical Telemetry Service (WMTS) bands, although both are open wireless approaches, and both dominate the licensed cellular M2M approach in healthcare. WMTS has played an important role in remote patient monitoring, but most wireless healthcare applications depend on general purpose bands. The focus on auctions and the revenue they produce severely distort the political economy of wireless policy. The capacity gains that innovation in WiFi has made over some of these bands has been roughly commensurate with Moore's Law--a doubling of capacity every 18-22 months. Efforts to raise revenue, whether through auction or through short term leasing, that hamper this innovation dynamic are penny wise, pound foolish for a society and economy that increasingly requires wireless capacity for growth and secure, robust communications systems.